Welcome to The Ultimate Prevost Site! This Web Site Is Dedicated To The People, Products And Services Of The Prevost Car Family. Prevost Car Products Include The Prevost Shell, Motorhome, Seated Coach, Conversions, Entertainer, Corporate, Command And Specialized Use Coaches. The Prevost Car Product Is The Ultimate In Ground Transportation, Providing Customers And Owners With Unsurpassed Service Life, Reliability And Comfort, No Matter The Application. We Have XL, XLII And H3-45 And X-3 Models For Sale. Find A Coach Today At Coaches For Sale! The 2002 Prevost XLII I had listed on your site has sold and been picked up. BTW - Your site is Amazing!!! I started to get calls within 2 days of placing the ad. Calls have continued every week and I found my cash buyer! Within hours of listing the emails and phone calls started. We had over a dozen calls and emails within 3 weeks from all parts of the country. Sold in less than 30 days. Jamie did a great job with the layout and his encouragement to add more pictures seems to have done the trick. Thank you Jamie! Great job and wonderful site! We can surely attest to the effectiveness of a used coach for sale ad on Prevost-stuff.com. Our 2000 XL Country Coach sold 48 hours after we posted the ad. We probably could have sold it at least 4 times over! Corey Grubb & George Prentice, Cedar Hammock, FL. and not receiving much interest, I decided to list it on Prevost-Stuff.com. The service I received was terrific an I had interest from parties all over North America by the next day. I sold my Prevost in 8 days to a buyer 4,200 kms away who flew in. If you're looking to sell your Prevost this is the only way to do it. Jamie and his team do an excellent job creating your ad and I wouldn't hesitate to use this site again. When selling my second bus I went straight to Prevost-Stuff. This site is the premier place to find Prevosts for sale on the internet. Every call I got was a result of exposure on Prevost -Stuff. I found my coach on Prevost-Stuff.com and sold a coach on Prevost-Stuff.com. 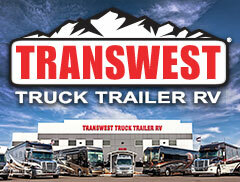 This is the BEST site for buying and selling used Prevost RVs. I received numerous responses to my ad and after showing the coach in the Prevost-Stuff Tampa show. Placing the ad with Prevost-Stuff.com was well worth the money and it was a pleasure to meet and deal with Jamie. I will definitely look on Prevost-Stuff.com for my next coach and I plan on attending the next show. I received numerous calls about my Prevost Coach after I advertised it on Prevost-Stuff.com. Also , I placed my coach in the Prevost-Stuff Coach Show at the Tampa Convention Center in January. That was a terrific show and I wasable to sell my coach as a result of the show. I was extremely pleased and would not hesitate using Prevost-Stuff.com in the future. Prevost stuff is a wonderful website for selling your coach. From the first day it was listed we got calls right away. It sold in less than three months and the new owners couldn't be happier. I would highly recommend using this site if you are considering sell you Prevost. I get more traffic from Prevost-Stuff.com than anywhere else I advertise. 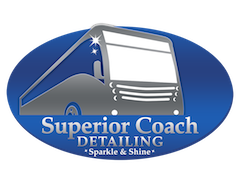 If you want to sell a Prevost Coach this is the place to do it… . I wanted to thank you and be sure to let you know what a powerful tool your website can be. When considering my options for marketing my coach I found your site to be the place to find lots of Prevost information and my decision to use your site really paid off. In just 6 short days I had 1200 hits, 40 phone calls and was able to sell my Double Slide H3-45 for nearly my asking price. All of the buyers who found the listing were qualified, knowledgeable and ready to buy. I would highly recommend your site as the first and only place to go for buying and selling a Prevost. hits and emails generated by Prevost-Stuff.com was unmatched. a few short weeks was it all it took before we had sealed the deal with a buyer. Well worth the investment of the advertisement! Thanks for the help with the sale. Just wanted to let you know that my '97 Liberty (listed 3 weeks ago) has sold. I was amazed at the number of calls and emails generated by my ad on your site. I've been more than satisfied with my investment. Very pleased with the site and the number of calls I received. Of the three Internet sites I had my coach listed on I received the most calls from Prevost Stuff. Certainly worth the money if you are interested in selling your coach.